It is open whenever the snow conditions are good enough, usually from November/December to April. Special opening hours during Christmas and Easter. 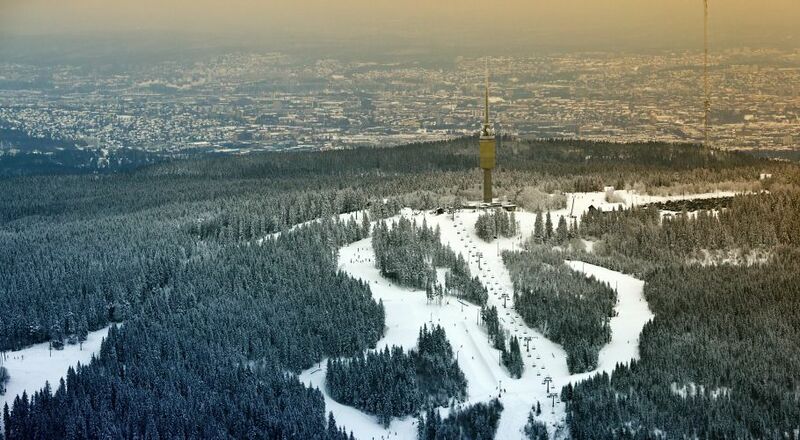 Located only a short drive away from downtown, Oslo Winter Park (previously Tryvann Winter Park) is one of the best Alpine ski centers in the Oslo region. The 18 slopes and seven lifts offer a variety of activities including skiing, Telemark skiing, snow-skating and snowboarding. There are jumps, a fun-box and an Olympic standard super-pipe and half-pipe for snowboarders and a series of runs of different standards for skiers. The park also has its own ski school, cafe and equipment rental facility . Please visit the website for more information. Here you will also find the English version of their web site.